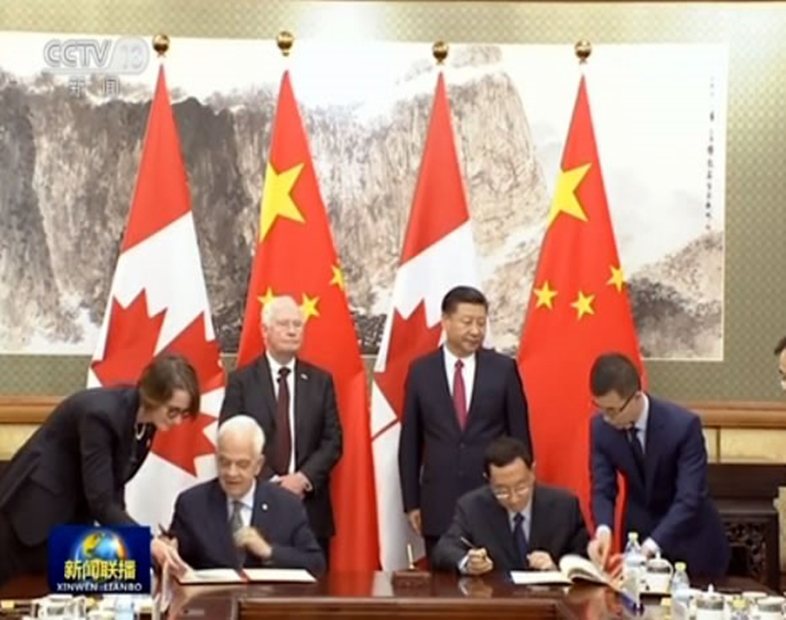 CTC Group signed strategic memorandum understanding with Canadian International School of Beijing (CISB) at ChaoYang Joy City in Beijing on July 14th. 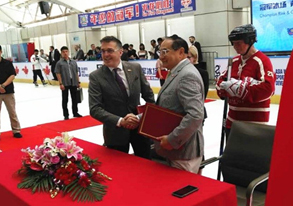 The strategic cooperation agreement signed by CTC Group and Canadian International School of Beijing(CISB) announced that the two partners agreed to cooperate in the establishment of a Canada-China International Ice Hockey School in Beijing aimed at developing ice hockey in collaboration with the education sector,and the introduction to China of Canadian programs and certification,sports-education programs,and other program and training for the grassroots development of ice hockey. 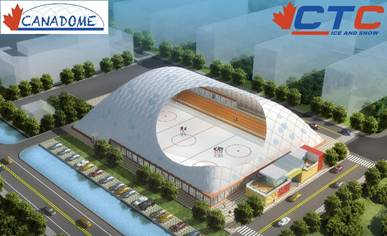 This project is planning the developmet,design-building and operation of world class ice hockey sports centers,CANADOMES and numerous ice rink projects in China.This project is also planning to implement ice hockey programs and leagues in its international schools (CIS)and domestic schools(CCSC)as part of sport-education and participation programs.The two parties agree to establish a long-term strategic cooperative partnership as follow:development,design-building and operation of CANADOME projects.Establish promotion and sale of an Ice Hockey School in Beijing,permanent hockey academy and other winter sports schools at the CANADOME or other ice rink facilities,hockey league and winter sports competitions and other events. Canadian Ambassador to China,Mr. 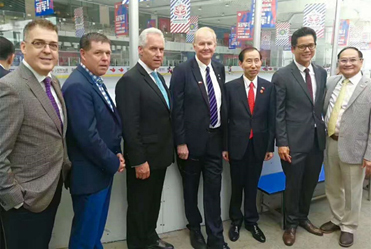 John McCallum, CEO of PAN-CHINA,Mr.LiHaibin, the chairman of CWHL,Mr. Brenda Andress,the excutive chairman of CICCC,Mr.LongYuxiang,the counselor of CICCC,General LiYunzhi,the founder of KunLun Red Star Hockey Club,Mr.YueXinyu attended this spectacular signature ceremony. 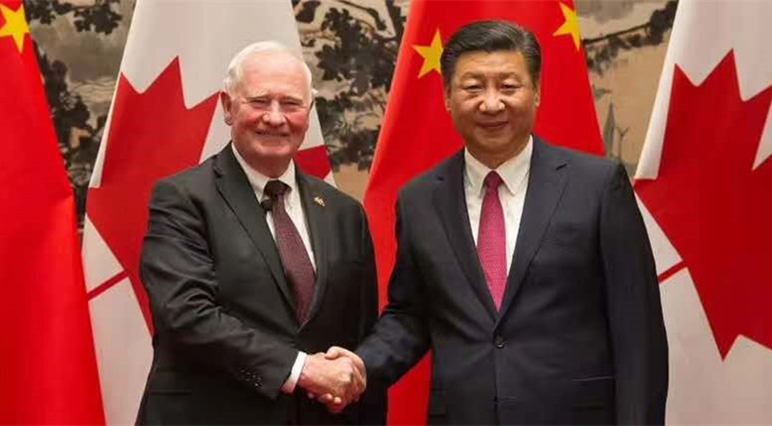 The state president Xi had a meeting with Canadian Governor Mr.Johnston ,he pointed out that China is willing to expand exchange and cooperation with Canada in education、culture、young people、tourism、ice and snow sports fields. 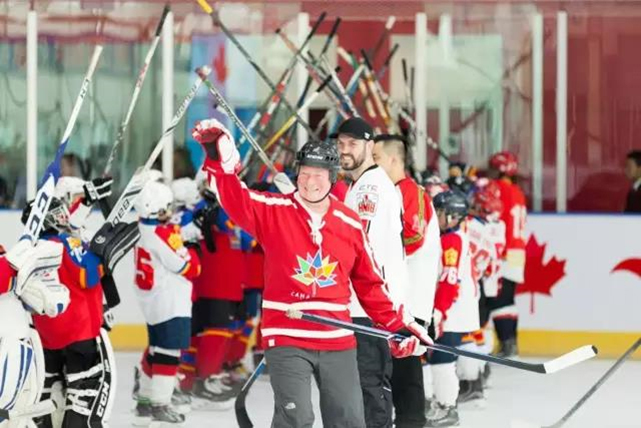 Canadian ice and snow sports had very mature development,China is actively preparing for 2022 Winter Olympic Games,China hopes have more cooperation with Canada in ice and snow sports. Founded during the fall of 2005, the Canadian International School of Beijing(CISB) offers a world-class facilities with an internationally recognized Canadian education curriculum and the International Baccalaureate Programme. CISB currently has students representing over 60 countries, ranging from Montessori Nursery (18 months to 3 years), Pre-Kindergarten, Kindergarten to Grade 12.